Italian photographer and photographic historian Paolo Morello infuses his images with lore. 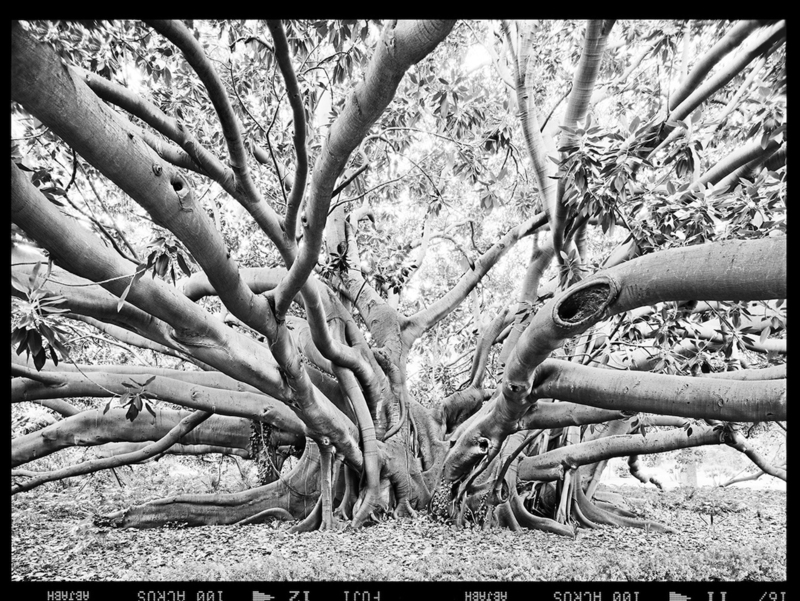 The subjects in his exhibition Upon Light, at St. Petersburg’s ROSPHOTO, include ancient trees and famous ruins that exist across vast planes of time; history is woven into each photograph. 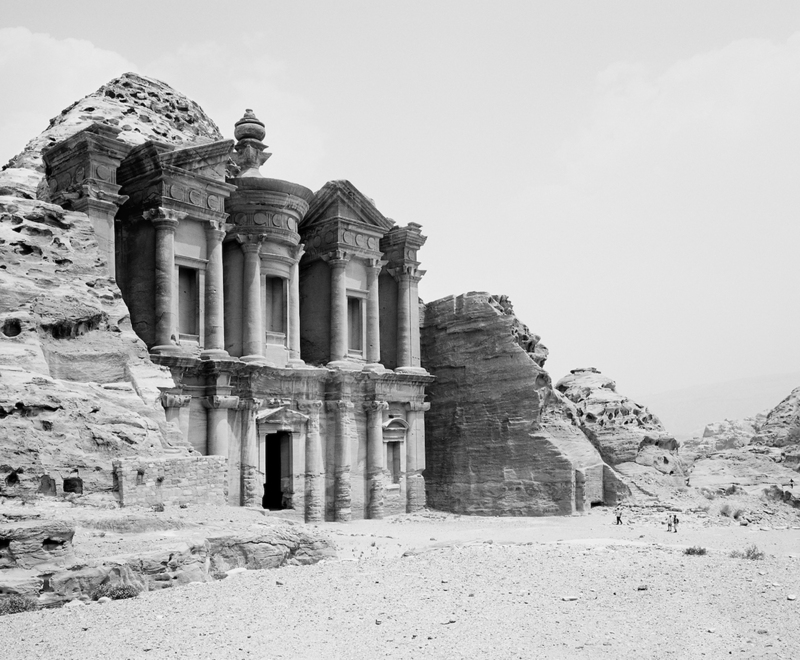 For example, Morello’s series Petra captures the ancient, rose-colored rock city in black and white. This color-free approach removes any identifiable markers of the modern era, thereby alluding to a history of Western exploration and colonialism. Petra, located in present-day Jordan, was populated as far back as the prehistoric era. It later became the capital city of the Nabatean kingdom, then a Hellenistic and Roman trading nexus. A UNESCO World Heritage Site, the city boasts an advanced water system and temples from traditions as diverse as the breadth of its inhabitants. 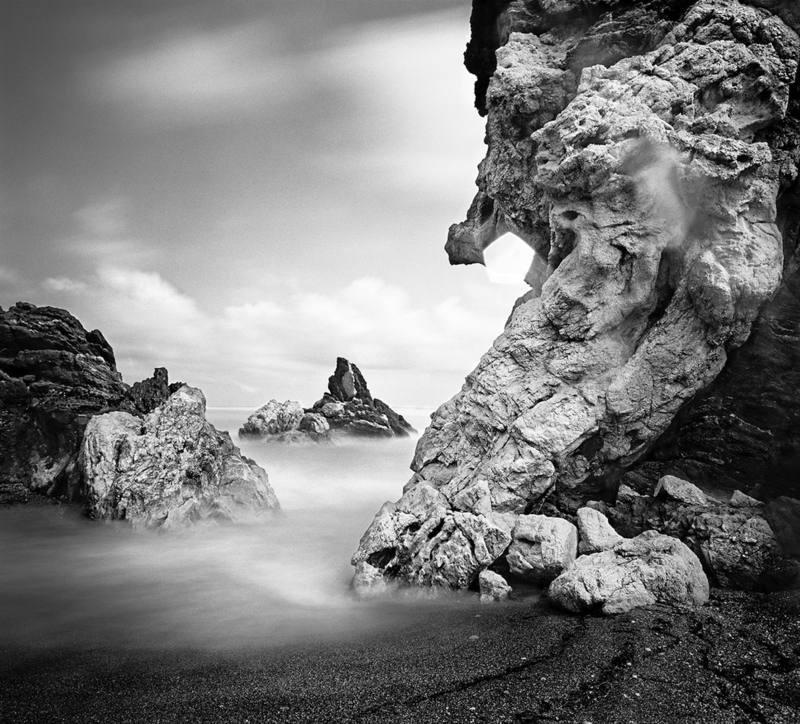 But Morello’s photos, filled with misty light, capture something more elusive than Petra’s carved stone. They subtly contribute to the aura of the place, adding one more romanticized, imprecise visual record. 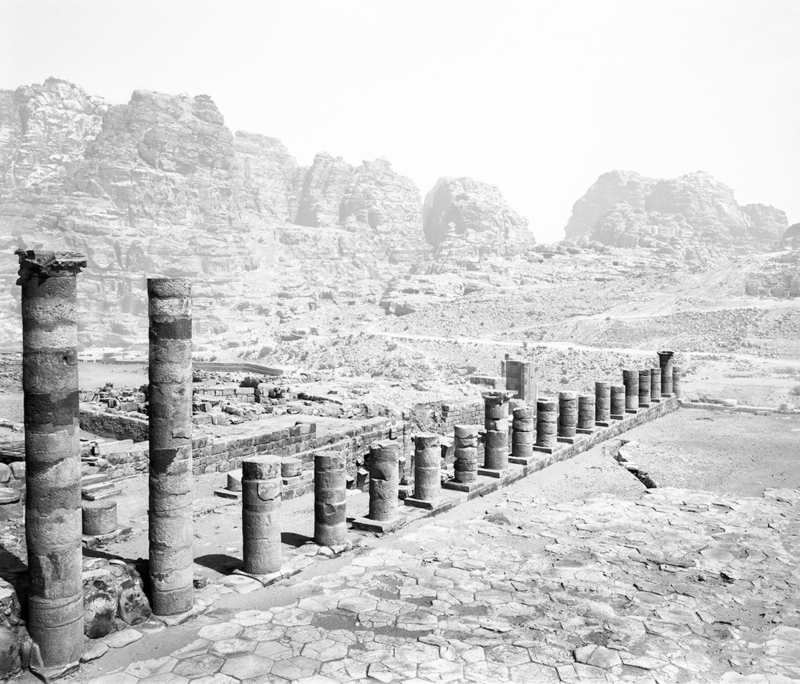 Previously, Petra has been primarily photographed through the lens of exploration, colonialism, or architectural interest; however, Morello does not grapple with this context of documentation. His photos are more in the vein of prose, poetry, painting, and sculpture, capturing the place through a hazy filter of mystery and myth. 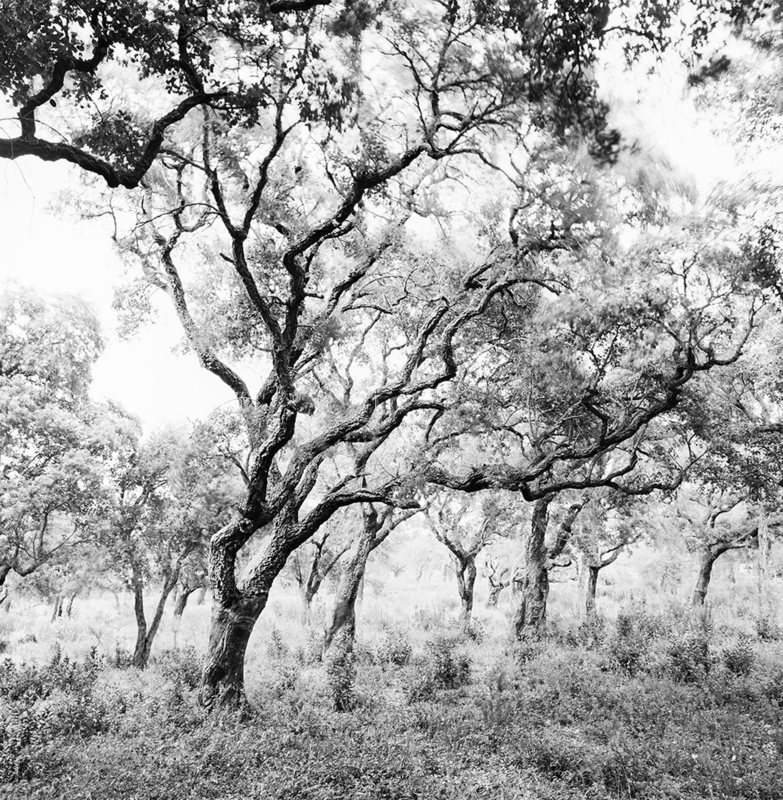 Paolo Morello: Upon Light continues at ROSPHOTO (Bolshaya Morskaya ul., 35, St. Petersburg, Russia) through August 30.